As an Accredited public relations professional, I certainly understand the value of research — both primary and secondary. So later, I will post a short survey to develop some primary research on a subject that has been screaming for analysis: Why do people (mostly young men, I believe) wear baseball caps backwards? Yes, in all seriousness, I have pondered this question for decades. I want to know who initiated this practice and why people continue to support it. After all, a baseball cap has a nice brim designed to keep the sun out of your eyes. Why turn it backwards, especially if the cap has that unsightly adjustable strip on the back, making the “backwards” practice unattractive to the wearer? But I stumbled upon evidence that provided some insight. 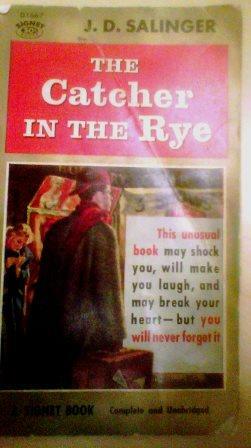 Look at the depiction of anti-hero Holden Caulfield from the cover of J.D. 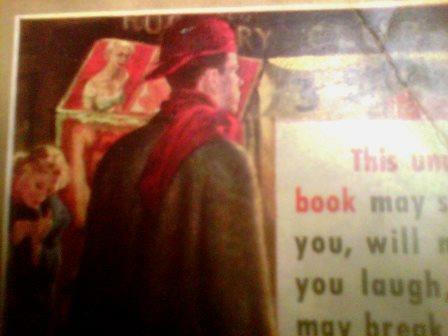 Salinger’s American classic novel, “The Catcher in the Rye.” This Signet paperback book — which has a original price of 50 cents — features an artist’s interpretation of Holden, suitcase in hand on some street in The Village, wearing his red cap — with the brim turned backwards. Eureka! Some evidence, and from the disturbed mind of a fictional 16-year-old privileged kid from the Upper East Side. Granted, Holden’s garment was a “hunting” hat and not a baseball cap. Still the correlation makes sense: It had a brim and he wore it in an unconventional manner. Now to the survey; please take a moment to complete what I maintain is the first and perhaps only survey regarding the “backwards” baseball cap practice. By the way, on eBay, my vintage edition of “Catcher in the Rye” — the one featuring Holden wearing his “old peak way around to the back” hat — is worth $5.99! Before the beatniks, before the hippies, a fictional renegade named Holden Caulfield lived life — well 48 hours of it — his own way. Including his preference of head gear.